Maintaining length, preventing shrinkage and not spending every last coin on products are a natural hair girl’s dream. I am always skeptical of any product that promises to grow your strands- which is why I was happy to read this line of honesty from Dark and Lovely’s Director of Education, Mezei Jefferson. “While no cosmetic product or treatment can truly make your hair grow faster, Au Naturale Length Retention can help your hair reach a certain length by reducing breakage”. No genie in a bottle here, but a sensible plan to maintain healthy hair by restoring moisture, and reviving curls. The Skinny: Dark and Lovely has been a leading name in hair color designed specifically for African American hair since the early 1970s. Since then they have transformed into an award-winning authority for natural hair care and styling with their Au Naturale portfolio of products. This new collection uses natural products, like guarana root and bamboo milk, to soften hair and allow newly healthy follicles to absorb more nutrients. The Length Retention collection revitalizes and nourishes hair during wash and conditioning, and the Anti-Shrinkage products improve manageability and rehydrates hair during styling and restyling. Highs: Besides the amazing price tag, this collection has no drying alcohol, no sulfates and no parabens! As a natural who rarely likes to use products, this less is more approach is very exciting to find. My most recent wash day was after 5 weeks with a protective style, so my hair needed extra special treatment. The light and subtle smell of the Co-Wash let me know that I wasn’t dealing with a product full of chemicals or artificial fragrances. I used it after doing my normal apple cider vinegar rinse to purify my hair before conditioning. The conditioner coated on thick, and I could feel my coils stretching and loosening up as I worked it through my hair. The Softening Hair Butter and Gel N’ Butter made a great combo after detangling - using the hair butter as a leave in conditioner for my twist out. Letting my hair air dry overnight, the next morning is the real test on how good a product has been to my hair. I loved how light and clean my hair felt the next day, even after using 4 different products. There was no greasy product build up, and my hair felt moisturized, soft and clean. Lows: While I really enjoyed the light feeling of the product on my hair, I do wish that at least one of the products in the collection had a thicker feel (like you would find in a hair smoothie or butter product). I expected the strengthening balm or hair butter to have a less water-based consistency since both can be used on either wet or dry hair. As a natural who likes her hair to be fully dry and stretched for styling, I was unable to use any of the product to refresh dry hairstyles. The curl refresher spray is a water/oil mixture that you need to shake before using - I was able to use it at night before retwisting, but once my hair was dry it would only puff it back up and undo all of my stretching work. 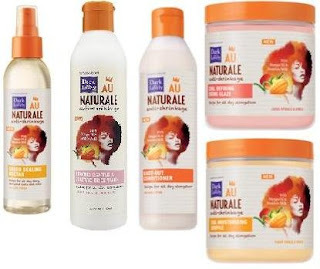 This collection would be perfect for anyone who utilizes wash-n-go as their go-to style. The water based products will keep your curls moisturized and not weighed down by product. For those of us with a tighter curl pattern, the collections still does wonders - I used each product only on wet hair and followed up with shea butter when styling to give the thicker sealant that my hair needs.